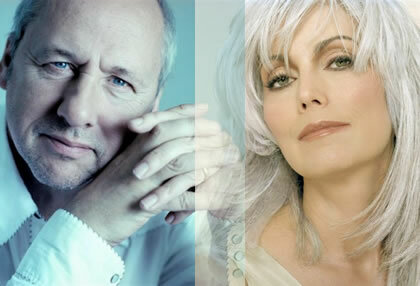 Over the past seven years, Emmylou Harris and Mark Knopfler have quietly been writing, compiling, and recording songs together for a duet album. The result--entitled All the Roadrunning--is a sophisticated, subtle collection of emotionally centered songs that are atmospheric and earnest. "Beachcombing" recalls lonely seaside contemplation both musically and lyrically, with Knopfler taking lead vocals and Harris providing mournful backing vocals over soft mandolin flourishes. The Knopfler-penned "I Dug Up A Diamond" is far more melancholy fare imbued with the fecklessness of searching for the rarest of rare gems. 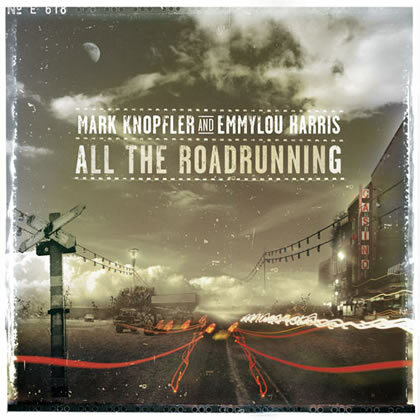 "This Is Us" and "Red Staggerwing" find Knopfler and Harris picking up the tempo and trading verses. The former is an uptempo rocker that tells the poignant tale of a couple's romantic milestones without being maudlin, while the latter is a bluegrass and Celtic hybrid that is flirtatious and fun. "Rollin' On" finds another tempo shift, this time to slower-paced pop-rock filled with longing. "Rollin' On" is the first of several tales by Knopfler about the travails of life on the road. "Love and Happiness," by contrast, is a tender love song for a child, co-written by Harris and Kimmie Rhodes. "Right Now" is an all-out blues rocker that showcases the grittiness to Harris' voice. "Donkey Town" finds Knopfler telling a twisted tale of life in suburban America, while Harris' "Belle Starr" is a jaunty country rocker centering on problematic romances. The final three tracks are ballads laced with melancholy, longing, and hope. "Beyond My Wildest Dreams" is a rather straightforward Heartland rocker about missing loved ones on the road, while the title track is a bittersweet Celtic reel that celebrates the life of a touring musician while acknowledging the difficulties. The closing track is perhaps the most poignant of the CD. Written in the wake of 9/11, "If This Is Goodbye" features a Memphis soul guitar riff and horn section along with lyrics about last goodbyes that are at once hopeful and heartbreaking.